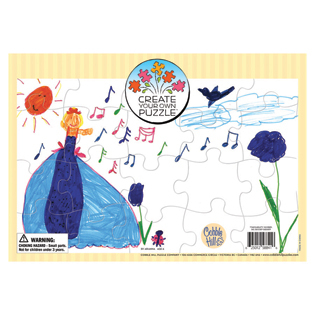 This 10" x 14" Create Your Own Puzzle comes with a single 20-piece blank board. If you already have crayons or markers, this is a good alternative to our two-pack puzzles with crayons or colored pencils. It makes for a great Mother's Day or Father's Day gift idea! Case Pack 24 Width 14"
Item # 58841 Weight 0.85 lbs.